All too often, access to the arts is mistakenly labeled as a “luxury.” Here at Levitt we believe that experiencing art and culture in one’s community is essential to a healthy and happy life—it’s a basic human right. Interestingly enough, arts and culture are actually mentioned in Article 27 of the 1948 Universal Declaration of Human Rights, which will be commemorated around the world this Sunday, Human Rights Day. Sunday’s observance celebrates the signing of an unprecedented document drafted by a wide range of representatives from across the globe that proclaims the universal rights of every human being. Since its adoption by the United Nations seven decades ago, it has become the most translated document in the world (available today in more than 500 languages!). This year’s international day of observance will kick off a yearlong 70th anniversary celebration of this milestone for humanity. “Everyone has the right freely to participate in the cultural life of the community, to enjoy the arts and to share in…its benefits. Every person—regardless of age, background or income—is entitled to experience the power of the arts in their community. At a time when the cost of a concert ticket is skyrocketing, Levitt lawns across the country remain free and open to all for this very reason. 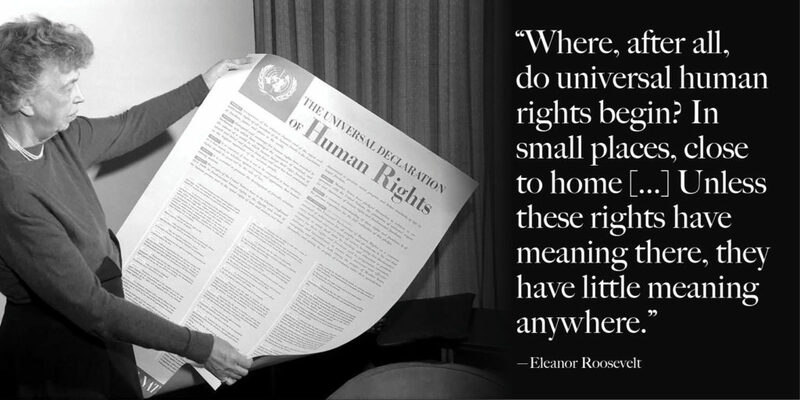 As we enter the 70th anniversary year of the Universal Declaration of Human Rights on Sunday, let’s remember to appreciate the universal human rights we enjoy on a daily basis and help others who do not yet enjoy these same freedoms. Click here to learn more about how you can participate in the United Nation’s yearlong celebration. This entry was posted in Arts Access, Beyond Levitt, Holidays and tagged Human Rights Day on December 8, 2017 by Nicole McGaffey. Filyaln! This is just what I was looking for.